We heard from Speight Jenkins today, who, following the tremendous honor shown him by the National Endowment for the Arts, headed on toward Europe, as he often does in November (in between mainstage productions), in search of great singers and operas to bring to Seattle. 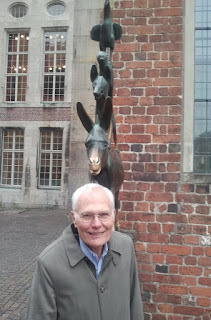 Photo of Speight (left), taken in Bremen near the statue of the famous Bremen Town Musicians, by Christopher Braun. A three-week audition and performance trip to Germany would be very difficult were it not for the Eurail (railroad) Pass available to Americans. With the Eurail Pass one can change one’s schedule if necessary without any financial penalty as I did when the October snowstorm in New York delayed my arrival in Frankfurt by three hours. Due to the kindness of the Frankfurt Opera I secured a ticket to the premiere of a brilliant Siegfried on a few hours notice. ...with Martina Serafin as one of the greatest Marschallins of my life and wonderful conducting by Constantin Trinks, a German conductor not yet 30, and a fascinating, perceptive Dialogues of the Carmelites with Seattle Opera former Young Artist Maureen McKay as Blanche de la Force. That performance caused me to change my mind about a very controversial, often pornographic Catalan director, Calixto Bieto. It was a revelatory conception of Poulenc’s great opera. When I saw in the schedule that Die Meistersinger was being given in Nürnberg, I felt that I had to see it. 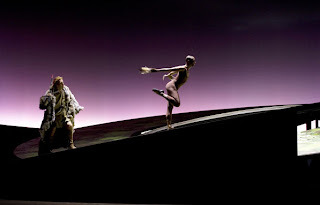 It turned out to be a marvelous production by David Mouctar-Samorai, with a first-class Hans Sachs, Albert Pesendorfer. 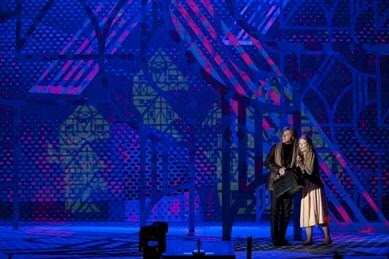 What made it so good was that it glorified German art in the way I think Wagner intended and managed completely to avoid any suggestion of Fascism (which often happens in this opera) or a connection to the Nazi period (frequently the case in German productions in the last twenty years). It also showed that with a lot of innovation Die Meistersinger worked marvelously in a contemporary, timeless, somewhat abstract setting. ...made memorable by stunning conducting by Carlo Montanaro, who will lead our upcoming Attila. 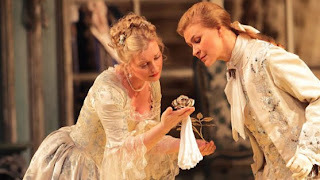 It was one of those rare performances when every tempo seemed thought out properly, and the playing of the orchestra captured the warmth and passion of Verdi. Germany is beautiful in November with all the trees a rich gold. One oddity about them: I have seen no trees with red leaves such as we have in the United States. The weather for the past ten days has been breathtakingly sunny with temperatures in the high 40s and 50s, perfect for me and for traveling. On the personal side I visited in Bremen with a former Seattle Opera intern, Christopher Braun, and had the opportunity to spend the day with him, his wife, his three-year-old son, Constantin, and two-month old baby, Curt. It was great to see Chris after a two-year period. 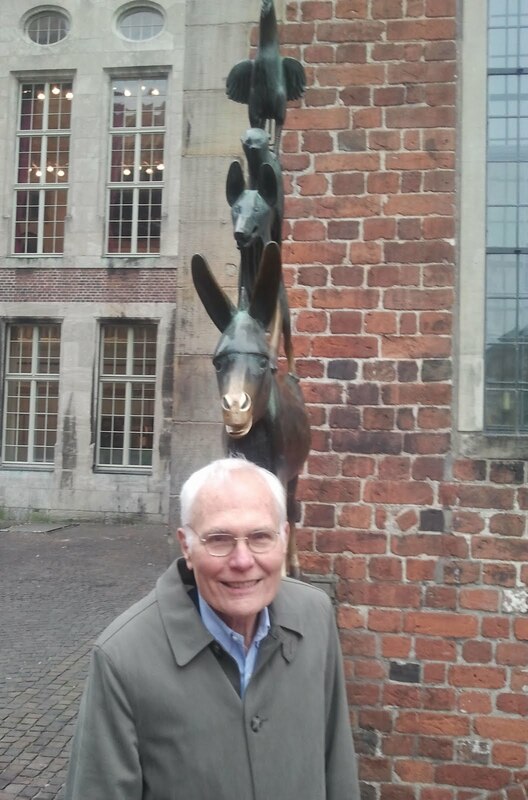 He is the Marketing Director of the Bremen Opera, and he and his wife enjoy very much living in Bremen. It is, incidentally, the smallest principality in the Federal Republic. Bremen was always, like Hamburg, a “free” city, that is, a democratic one without a king. A city of around 550,000, it has its own Parliament with as much authority within its city limits as, say, the Parliament in Munich has for the whole state of Bavaria. Auditions in four or five of the cities have turned up some interesting singers possible for Seattle Opera and the performances even more. I look forward to the operas over the next nine days from which I might find more candidates for Seattle Opera. Thanks for your invitation, Maibrit. Unfortunately, Speight's travels have now taken him out of Germany to points farther east. We'll ask him for an update in a week or so!